Note to Jeff Bezos: Take a page from me and screw the National Enquirer! 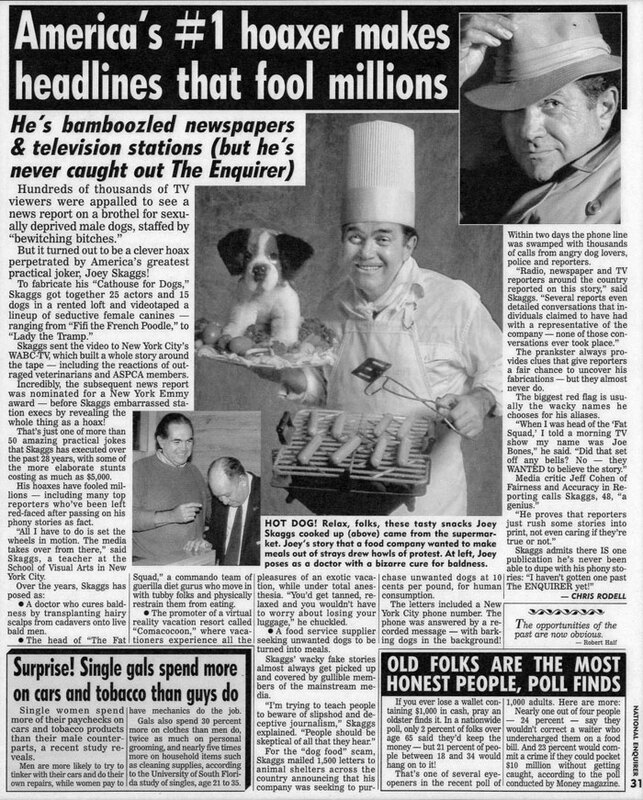 In 1994, after The New York Times Magazine published John Tierney’s article, Falling For It, about my Dog Meat Soup hoax, the National Enquirer called and said they were doing a profile about me. They wanted an exclusive photo shoot. 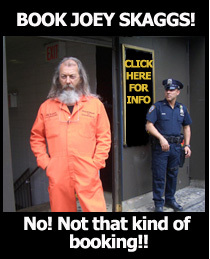 Not liking or respecting this publication, I declined. They said they were going to do the story with or without any assistance from me. So, I sent an impostor to two different photo shoots. 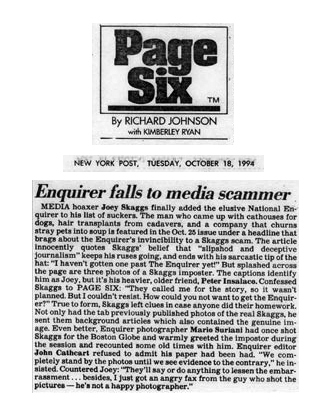 Full details of the National Enquirer hoax are here. Give A Holiday Gift Guaranteed To Bring Smiles (And Get A Special $5 Holiday Discount)!